The Harvard School of Public Health recommends getting at least 2.5 cups of vegetables per day. While broccoli might not have been your favorite food as a child, this green vegetable packs a nutritious punch. It is very low in saturated fat and cholesterol and rich in plant protein and dietary fiber. Additionally, broccoli is a source of vitamins E, C, K and B-vitamins, and minerals including calcium, iron, magnesium and selenium. Fresh vegetables and fruit can lose nutrients over time. 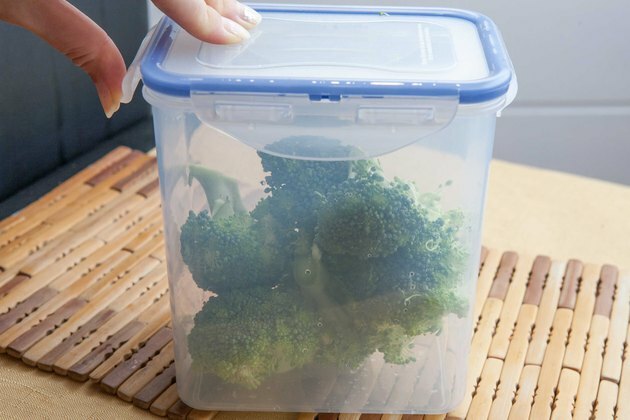 Keep cut broccoli fresh by storing it correctly. Wash fresh broccoli with a solution of one part white vinegar and three parts water. 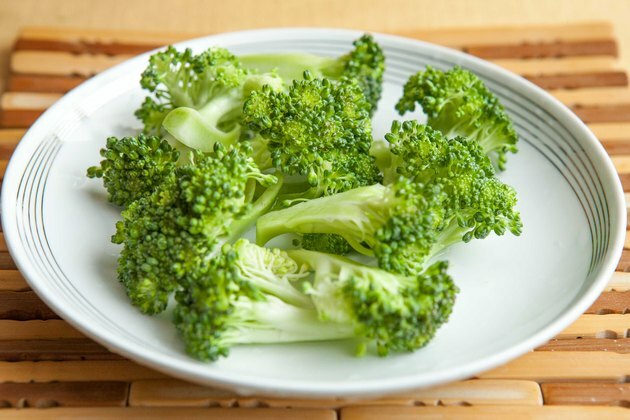 The acetic acid in the vinegar helps to remove any dirt, impurities and pests in the broccoli. 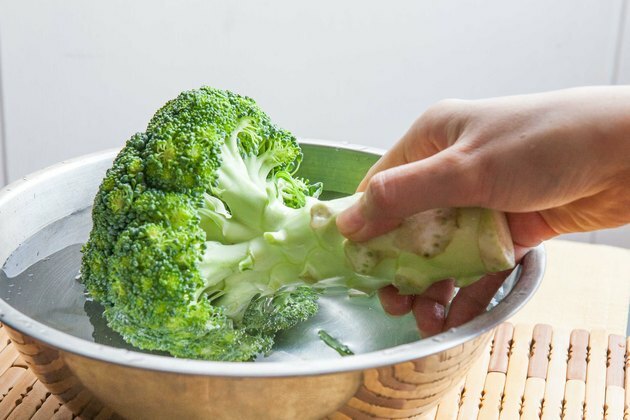 Place the washed broccoli in a strainer and rinse it with water to remove any traces of vinegar. Lay the broccoli on a kitchen towel to allow it to dry thoroughly. Remove any leaves and trim the ends of the stalks. Separate larger bunches of broccoli into smaller pieces for cooking or eating raw. Place the cut broccoli in a resealable plastic bag or a plastic container with a tight-fitting lid. The broccoli will stay fresh longer if it is not exposed to air. Store the broccoli in the refrigerator for three to five days. 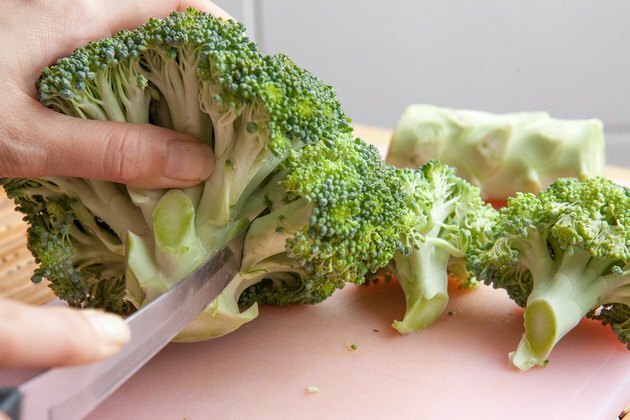 Remove broccoli pieces as needed and reseal the bag or container. 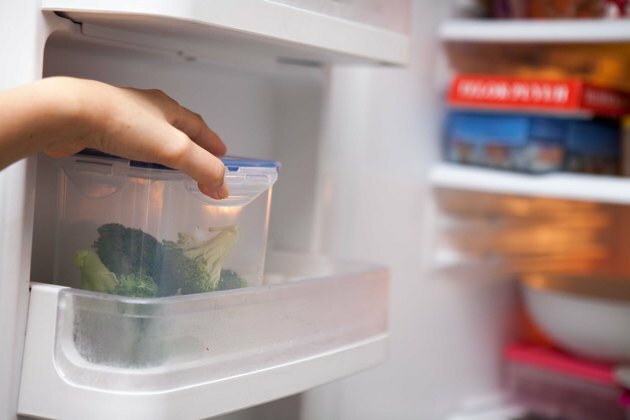 Return any leftover broccoli to the refrigerator as quickly as possible to retain freshness. Choose fresh broccoli that is dark green in color and does not have any yellow or brown spots. You can also make a concentrated vinegar vegetable spray and store it in a spray bottle to clean broccoli and other produce. Ensure that the broccoli is washed thoroughly to remove chemical fertilizer and pesticide residue. NPR: What Does It Take to Clean Fresh Food?